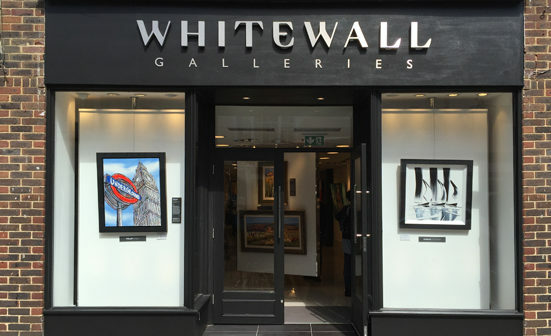 Stepping into the world of fine art, Paramount build new relations with Whitewall Galleries . 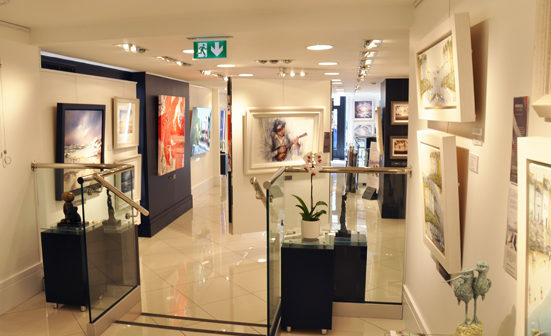 . .
Paramount were approached by Whitewall, the UK’s leading art retailer to fit out a new high street location in Chichester. 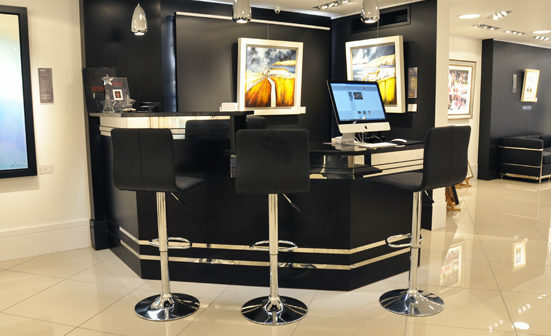 Working along side their architect and other in-house suppliers a fantastic new gallery was created. This sizable project ran for six weeks and included various structural alterations, including a new staircase to the basement office and a new shop front. Along side this Paramount manufactured all the bespoke furniture for the site which included a materials palette of veneered oak, granite and polished stainless steel. The shop opening was a huge success, taking more money in their first month than any other Whitewall store opening. Paramount continue to work with Whitewall and look forward to future projects.